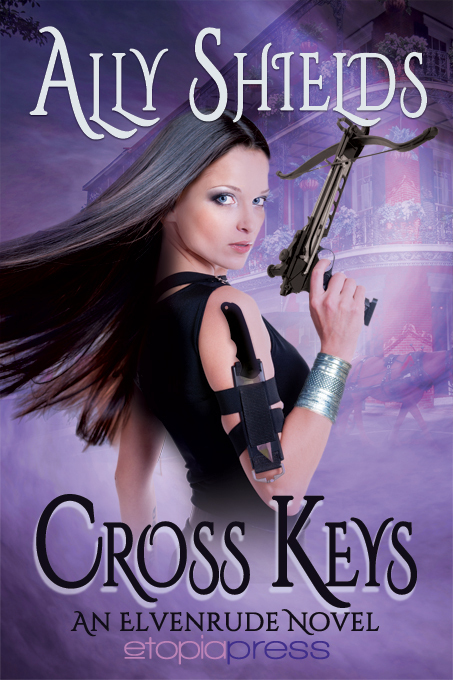 Today I’m turning the blog over to paranormal author Ally Shields to tell us about her new release, Cross Keys, a #FallingintoLove read. And another paranormal read for October. Ally is also sharing an authentic recipe from New Orleans, setting of the book. Buy at: Amazon, Barnes & Noble and Kobo. Coming soon to other retailers. Put everything except crawfish into a large pot with a gallon of water. Boil on high heat. Reduce and simmer 20 – 30 minutes. Add crawfish and bring back to boil. Reduce and simmer 7-9 minutes or until crawfish is bright red. Remove and serve. Messy but tasty. Special Thanks to the following bloggers who are spotlighting this release during the next few days (eight more Cajun recipes on their blogs!) You can find links to all the recipes at Ally’s website http://allyshields.com/blog.html. Thanks to Ally for sharing her book and recipe with us. Won’t you share your favorite Cajun dish in the comments? You can enter by using the Rafflecopter form below. There are three options including simply leaving your name and email address. This entry was posted in guest blogger, paranormal blogfest, Uncategorized and tagged #fallingintolove, #PNRblogfest, Ally Shields, cajun crawfish, Cross Keys, paranormal blogfest, paranormal romance, recipe by Linda / Lyndi. Bookmark the permalink. Ally is my guest tomorrow. Interesting recipes as well as a captivating book. Best of luck Ally with your writing and sales! I’ll have to check your blog tomorrow, Carmen, to see what the next recipe is. I love New Orleans. Happy to have you today, Ally. Happy sales.